The slightly more sensible characters (it’s all relative) – Christopher Lemmings’ Don Anchise, Catherine Carby’s Ramiro, Andrew Kennedy’s Belfiore and Ellie Laughame’s Violante/Sandrina provided excellent counterbalance to all this frivolity with great singing, but were also allowed to let themselves go as the occasion demanded. Top-quality standards, too, are to be found among the seven principals... Christopher Lemmings, the permanently outmanoeuvred Mayor. Andrew Greenan, Christopher Lemmings et Matteo Peirone apportent quant à eux un soin particulier à leur personnage, respectivement Angelotti, Spoletta et Sacristain. "The casting of the remaining male roles cannot be faulted, Urban Malmbergen as Buckingham, Bruce Rankin as Edward 1V and Christopher Lemmings as Clarence." Le récit de Caliban, superbement interprété par le tenor Christopher Lemmings, est soustenu par un tapis de cordes, ponctué de longs accords qui permet à la voix de donner toute son expressivité. Christopher Lemmings, qui avait dejà remplacé Ian Bostridge pour certaines soirées à Londres, connaît le potentiel de sympathie qu’il y a chez le monstre Caliban. Le tenor Christopher Lemmings est un Caliban extrordinaire, prenant son envol dans la seconde scène de l’Acte II. La voix, utilisée avec art, déploie une expressivité notable. Le solide Caliban de Christopher Lemmings. 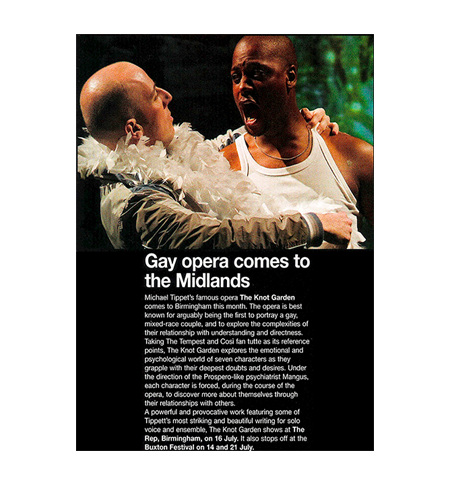 "Tenor Christopher Lemmings’ enunciated performance as the stroppy prince was fabulous". 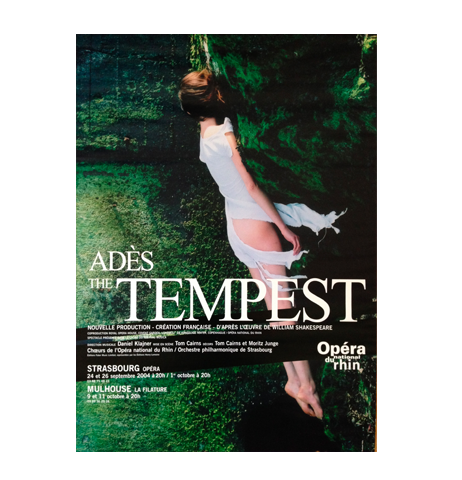 The lyric tenor, Christoper Lemmings has perhaps more of a pedigree in that he appeared in both Adès The Tempest and Maw Sophie’s Choice, both on the main stage of the Royal Opera House. His diction was superb and he imbued the character of the Prince with amazing dynamism and something of the character of a Shakespearian mechanical. It was when he was singing that I discerned a link between Bedford’s writing and that of his distinguished predecessor, Sir Harrison Birtwistle in Punch and Judy or Down by the Greenwood Side. As the Prince, Christopher Lemmings showed what an excellent character actor he was, the tantrum levels of this spoiled brat were just about right, highly agitated without being over the top – and a touch of the Victor Meldrew (see photo). He displayed little pleasure during ingestion, as if afflicted with a twentieth century complaint, compulsive food disorder. Becoming aware of his situation there was pathos too as the ‘supermarket’ ran dry. Inevitably the waitress broke down in tears. With his plate empty, the prince sees his own reflection in his silver platter. It was not a pleasant sight. Highlights of the night included a stunning performance from soprano Rhona Mckail (1st Angel/waitress), accompanied by superb acting from Christopher Lemmings (above) as the gluttonous, difficult and demanding prince. The singers — Stephen Wallace (Pleasure), William Purefoy (Truth), Christopher Lemmings (Beauty), Roderick Williams (Deceit) and Stephen Richardson (Time) — all showed a remarkable ability to project themselves as dramatic agents amid the musical rowdiness, and they were all rock-solid musically, a tremendous accomplishment on its own. Christopher Lemmings est un Sellem brillant et persuasif dans la conduite échevelée de sa vente aux enchères. Christopher Lemmings est irréprochable en Sellem. Sellem un peu folle mais joliment assumé de Christopher Lemmings. 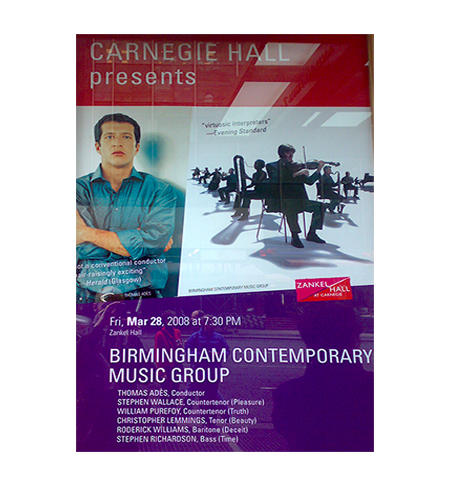 Replacing the indisposed Gordon Gietz, Christopher Lemmings worked hard to make an engrossing portrayal out of Stingo’s passive naivety, his lyric tenor making the most of the vocal writing. 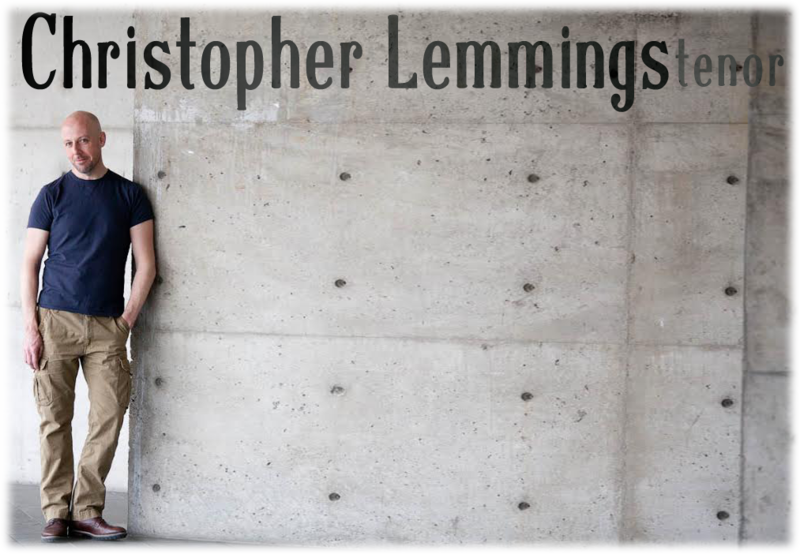 The performance from Christopher Lemmings, widely admired in so many modern operas, has total authority and conviction. It is the later set of seven Auden Songs, finished in 1989, that seems the more coherent achievement here, containing a couple of settings of deep, searching intensity; to which tenor Christopher lemmings gives full weight. (The cycle) for solo voice and piano trio, by composer Ned Rorem display a sensitive response to words and thrilling vocal lines which mesh perfectly with the inner meaning of the poetry. The seven songs are given impassioned treatment by tenor Christopher Lemmings. My ideal Gerontius needs a full, rich tone but above all the intelligence to respond minutely to the text. In this performance I found him. 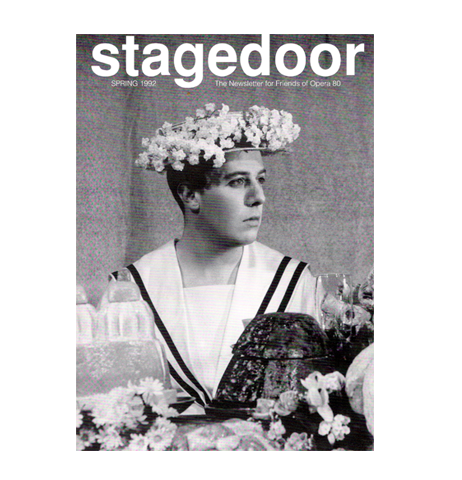 Christopher Lemmings has beauty of tone, power and the theatrical response needed for the text. Tenor Christopher Lemmings created a convincing character, growing broader in expression and negotiating some perilously high passages with admirable stamina. Christopher lemmings was also suffering from a bug, but nonetheless he displayed a masterly technique as he phrased and delivered the verse. Sometimes he was truly chilling too: in "I go before my Judge..." for instance. Against the big set pieces, Owen's words project their painful home truths on an intimate, person to person basis. Soloists Christopher Lemmings and Erik Sohn understood this exactly, and the fact that one is British, the other German, gave added depth to lines like: "I am the enemy you killed, my friend"
Einen ausgezeichneten Eindruck hinterließen die Solisten. Erik Sohns geschmeidiger Bariton und der leicht anspringende Tenor seines Partners Christopher Lemmings ergänzten sich ganz wunderbar. Beiden gelangen hingebungsvolle Ausdeutungen der Dichtungen von Wilfred Owen, die Britten mit dem Text der lateinischen Totenmesse kombiniert hat.